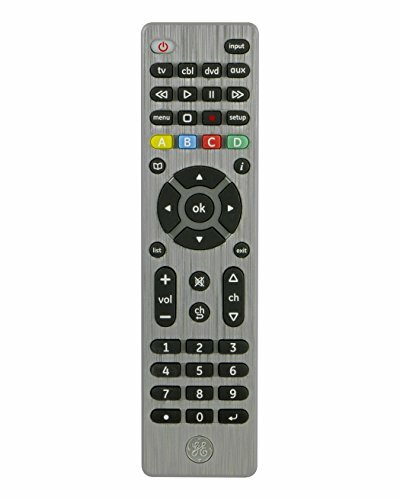 Do you have a remote for every device in your home entertainment system? Why not simplify your life with one remote? 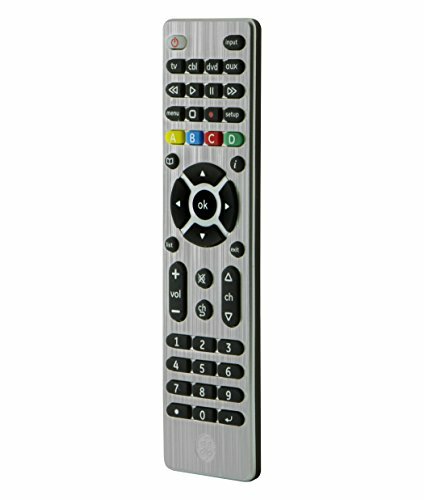 With the GE Universal Remote, you can! 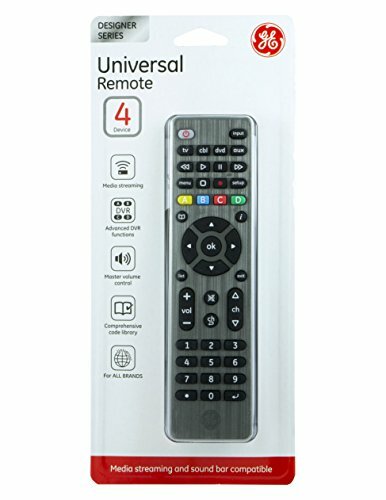 The Universal Remote can control up to four different audio/video devices such as your TV, Blu-ray player, DVD, DVR, Cable/Satellite Receivers, Digital Converter Boxes, Soundbars and Streaming Media Players. The remote features a master volume control feature allowing you to control the volume no matter what device you’re operating. The navigation buttons help you navigate menu and guide screens and the digital dot button gives easy access to sub-channels such as 4.2. The sleek brushed designer finish complements any decor. This truly is an all-in-one product! The instruction manual and code library list is included, along with a video link for an easy-to-follow online setup video.